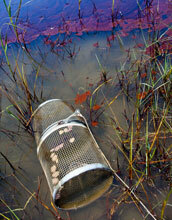 The researchers found that water temperature played a key role in the way bacteria reacted to the spill. David Valentine and Molly Redmond, geochemists at the University of California at Santa Barbara (UCSB) conducted the study. The National Science Foundation (NSF) and the Department of Energy supported it. Proceedings of the National Academy of Sciences (PNAS) published their results in this week's journal. 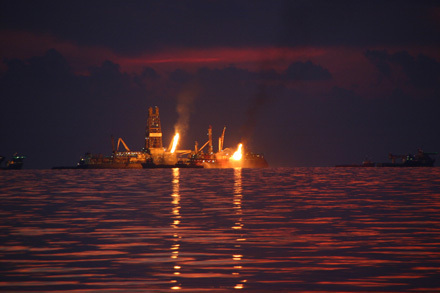 The Deepwater Horizon oil spill was unique, according to Valentine and Redmond, because it happened at such great depth and contained so much natural gas, predominantly methane, ethane and propane. 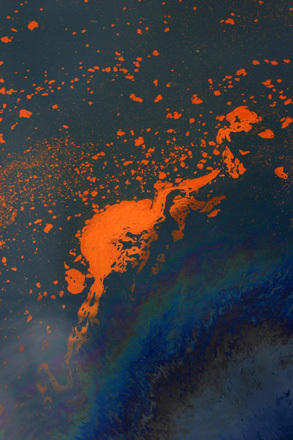 In May and June of 2010, the scientists found that bacterial communities in the submerged plume were dominated by just a few types, Oceanospirillales, Colwellia and Cycloclasticus, and were very different from control samples without large concentrations of oil or gas. 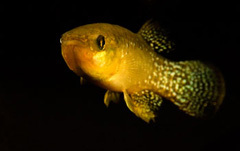 "It's much warmer at the surface than in the deep water, around 80 degrees Fahrenheit (F) versus 40 F, which is pretty close to the temperature in your refrigerator," said Redmond, the PNAS paper's lead author. "There was very little natural gas in the surface samples, suggesting that both temperature and natural gas could be important in determining which bacteria bloomed after the spill," she said. "Most bacteria grow more slowly at cooler temperatures -- that's why we keep our food in the refrigerator," said Redmond. "But psychrophilic bacteria actually grow faster at cold temperatures than they would at room temperature." 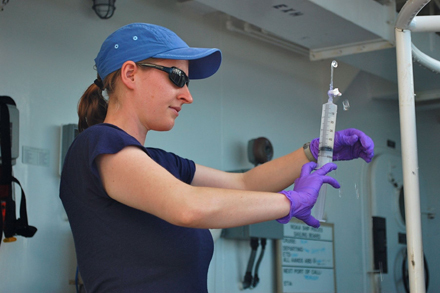 "To figure out which bacteria were consuming methane, ethane, and propane, we used a technique called stable isotope probing, in which we incubated fresh seawater samples from the Gulf with isotopically labeled methane, ethane, or propane," Redmond said. "The ability of oil-eating bacteria to grow with natural gas as their 'foodstuff' is important," said Valentine, "because these bacteria may have reached high numbers by eating the more-abundant gas, then turned their attention to other components of the oil. "We've uncovered some of the relationships between hydrocarbons released from Deepwater Horizon and the bacteria that responded," he said. "This work continues to remind us that the ocean, its microbes, and petroleum hydrocarbons share an ecological history that extends far into the geological past," said Don Rice, director of NSF's chemical oceanography program, which funded the research. 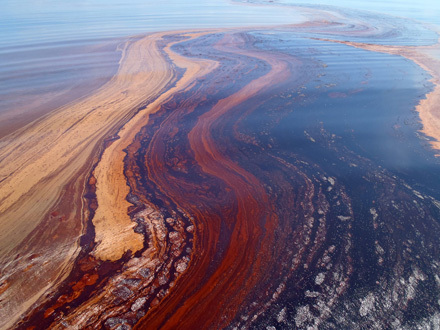 "Our ability to respond to marine oil spills is enormously advanced by this kind of basic research." This news is from National Science Foundation (NSF) 3 October 2011.